NEW ORLEANS, Louisiana, June 22, 2010 (ENS) – A federal district court in Louisiana decided today to lift the six-month moratorium on deepwater drilling imposed by President Barack Obama in the aftermath of the Deepwater Horizon explosion and ongoing oil spill in the Gulf of Mexico. 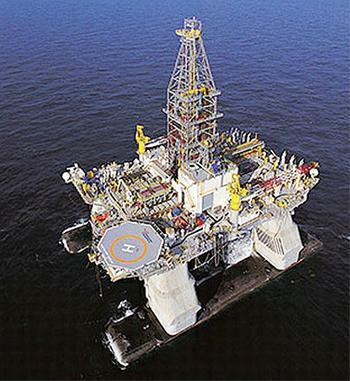 The moratorium was put in place May 30 by the Obama administration, shutting down 33 new deepwater drilling operations. Oil industry groups led by Hornbeck Offshore Services challenged the moratorium on the grounds it caused irreparable economic harm to its business servicing deepwater drilling in the Gulf. On June 17, the oil groups asked the U.S. District Court, Eastern District of Louisiana for a preliminary injunction to stay the moratorium. Defenders of Wildlife, Earthjustice, Natural Resources Defense Council, Florida Wildlife Federation, Sierra Club, and the Southern Environmental Law Center then intervened to support the legal defense of the drilling moratorium. Today, Judge Martin Leach-Cross Feldman ruled that the government could not suspend operations on leased public tracts, even to prevent further injury and loss of life, without more clearly articulated reasons for doing so. Hornbeck claimed that the wells inactivated by the moratorium had already been subject to a “rigorous MMS [Mineral Management Service] permitting process” and inspection. But the conservation groups said their own investigations and others conducted by the government, media and Congress all found evidence to the contrary. According to several reports by the Department of the Interior Inspector General, one released in May, the Mineral Management Service was a regulatory agency compromised in its duties by conflicts of interest. MMS officials were found to have accepted gifts from the oil industry, which they were supposed to regulate. The Mineral Management Service was yesterday renamed the Bureau of Ocean Energy and placed under the leadership of Michael Bromwich, a former inspector general of the Justice Department. But during the Bush administration, MMS routinely granted “categorical exclusions” for deepwater wells, exempting them from a thorough examination of the risks of exploratory drilling operations. The Deepwater Horizon oil rig, leased by BP, which exploded and sank in April with the loss of 11 lives, was operating under such a categorical exclusion. Environmental groups said today’s decision jeopardizes safety and the environment and risks a repeat of the Deepwater Horizon explosion and more oil spills. “The tragic explosion, the unstopped gushing of oil, and resulting damage to fishing and tourism industries, cultures, wildlife and the whole Gulf Coast should be more than enough cause for pausing risky deepwater activities until safety and environmental protection is assured,” said Catherine Wannamaker, senior attorney at the Southern Environmental Law Center, who argued before the court on behalf of the environmental groups. The Office of Louisiana Governor Bobby Jindal filed a brief in the court supporting removal of the moratorium on deepwater drilling. The brief argues that states are entitled to participate in the policy and decision-making process by the federal government on issues relating to the exploration and development of Outer Continental Shelf minerals and requires the Secretary of Interior to cooperate with affected states. The brief also argues that the Gulf of Mexico Energy Security Act ensures revenues from the Outer Continental Shelf are to be shared with states for specific purposes including mitigating damages to fish, wildlife or natural resources and conservation projects. According the Jindal brief, the moratorium does not address the obligations of the federal government to the states under this law. The Louisiana brief argues that the impact of moratorium runs counter to the federal government’s obligations and will negatively impact Louisiana’s economy. “We are extremely disappointed with today’s ruling but will continue to oppose the industry’s recklessness and disregard for American waters, natural resources and coastal communities,” Clark said. Oil industry workers will be compensated for any lost work during the six month moratorium by a $100 million fund established by BP for this purpose. This fund is in addition to the $20 billion independently administered fund set up by BP to pay damage claims to thousands of fishermen and others along the Gulf coast.